As summer slowly fades and we ease into fall, a familiar feeling starts to take over. We switch gears from wanting to be outside to seeking out cozy indoor spots. 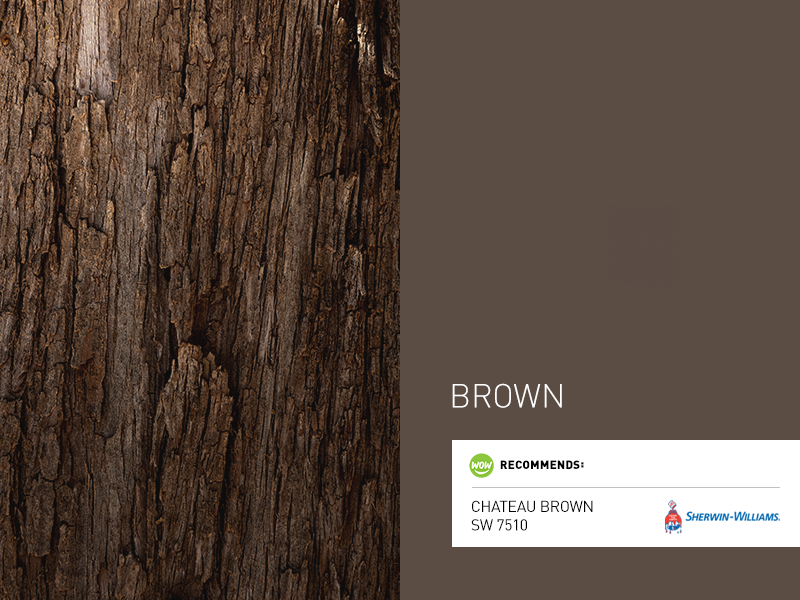 That quest for coziness has inspired the color of the month for September: brown! September is the first month of Autumn and is celebrated as the harvest month. When you think about the harvest, you think of bark, soil, and roots—the foundations of the Earth. Of course, all these things just happen to be brown. Brown is all about stability and creating or nurturing your own roots. Brown works beautifully as a warm base for any room where you typically hang out and get comfortable, like a family room or living room. 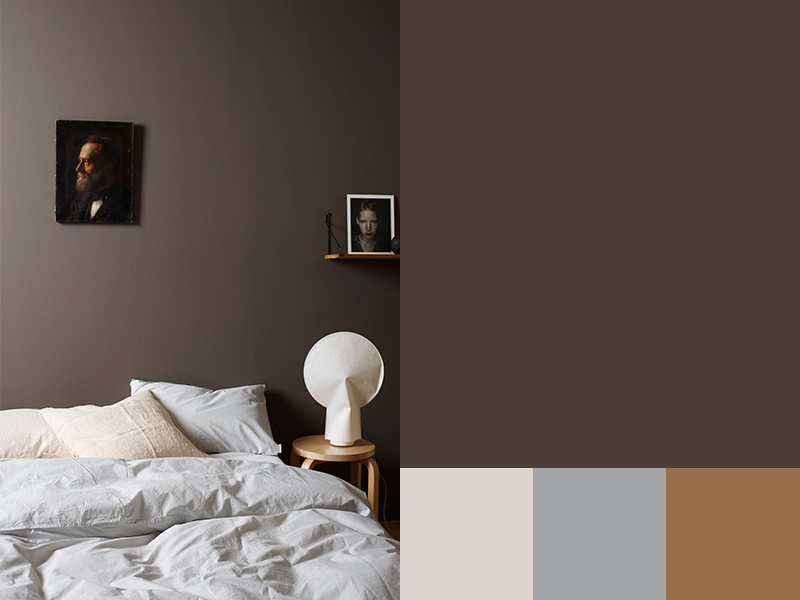 For an allover wall color, choose a lighter, creamier brown. Chocolate works well as an accent color, through furniture and accessories or an accent wall to highlight a piece of statement art. 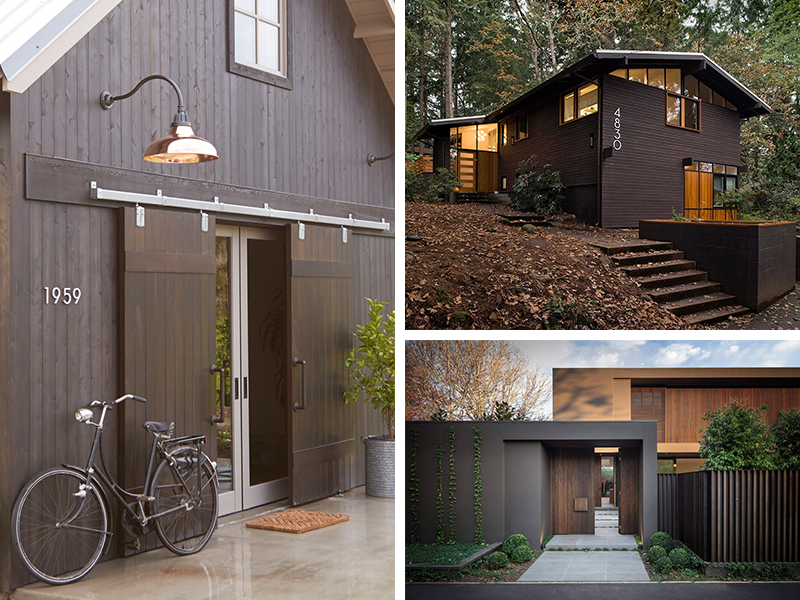 Brown is a remarkably versatile color, too. When you pair it with other darker colors and natural textures like leather and wood, you can create a more traditional look. 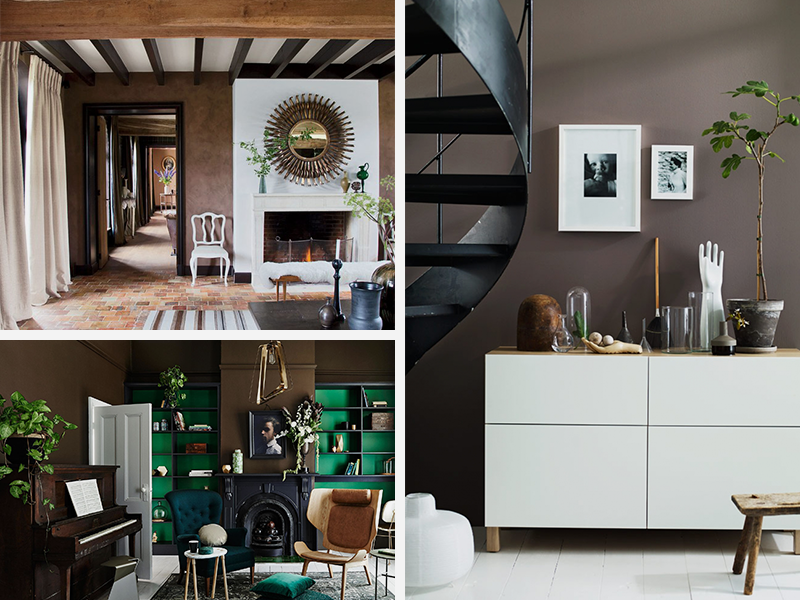 If you want to go more modern, pair lighter browns with crisp white or cream and sleek minimalist furniture with lighter wood tones.